Listed grade II in 1984: Originally 17th century, refronted in 18th century. Tall three-storey painted brick front. Slate roof, wide eaves with bracket cornice, large rubble stack with weathering to the right. 3 windows to the top floor, double-hung sashes with glazing bars in flush frames. 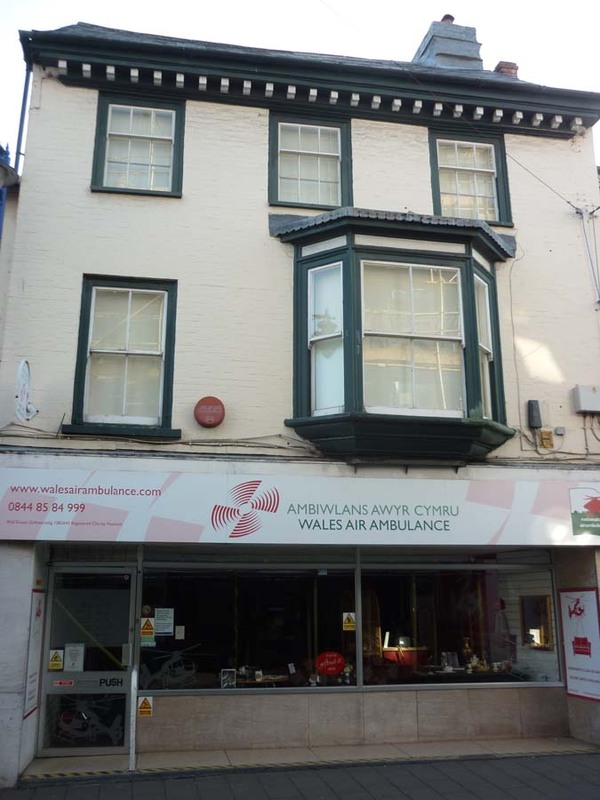 Later windows to 1st floors, splayed bay to right corbelled over modern shop front. Rubble rear walls with long 2 storey gabled range, timber lintels to casements. Another higher gable to rear angle. Included as part of group. 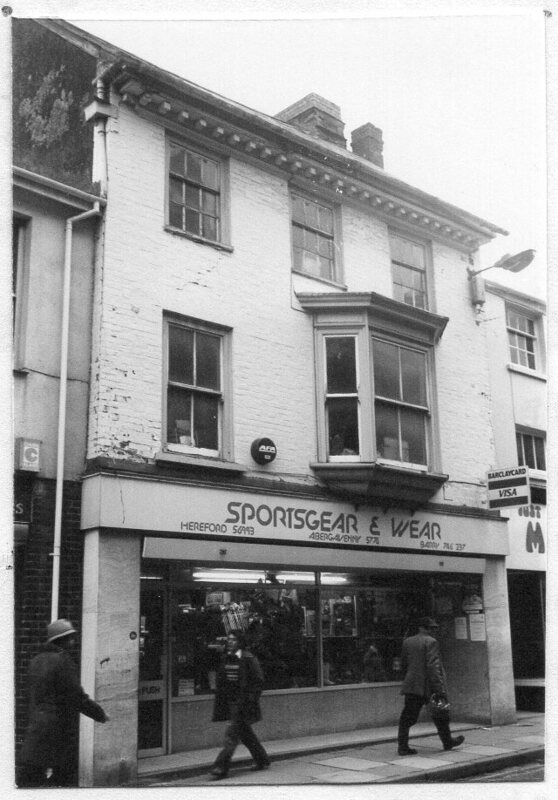 1982: Sports gear & wear. Agents for Dunlop/Slazenger/ Head/Wilson. Branch in Hereford. July 1979: Owner, Eric Jenkins, Esq. Occupied by Sportswear & Gear retail shop. Other floors not occupied residential.